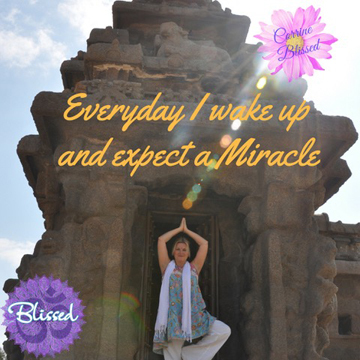 Wake up and expect a miracle. Every day I wake up, I expect a miracle. I decided many years ago that my mind was fickle. So instead of letting my mind use me, I use my mind and always hold space for amazing things to happen each day. When I expect wonderful things to happen, I see the beauty in everything.